Some university libraries in the developed world have bought a single edition to be shared amongst the faculty and students; but most college and university libraries have no edition at all. The volume cannot serve as a common reference point because so few enjoy access to it. Professors cannot teach using it because students cannot access it easily, nor can they afford to buy it for themselves. Functionally, no one in the developing world could follow along with our arguments were we to have to make our references to the Clarendon volume. We do not know whether the Clarendon Press imposes limitations on the use of the electronic version of the book; but many publishers limit the number of users who can use it at one time, and also restrict the number of pages that can be printed by an individual. Further, only students at some elite universities have access to digital libraries, and it is in any case unreasonable to require readers to navigate through Hobbes’s 600 page text electronically. The Clarendon edition is also physically burdensome. Those with the privilege to afford purchase of the $100 paperback edition can attest to its unwieldy volume and weight. The hardback available to some on loan from their elite university library weighs in at 7 pounds, too heavy to carry to class or the coffeehouse. All that weight and bulk in either edition is unnecessary, because most people do not need, even if they were able, simultaneously to survey the Latin. A system of reference to Leviathan by chapter and paragraph number, and/or 1651 page number, would enable the largest audience for Hobbes studies, regardless of social or economic status. All the good and widely used editions, including those of MacPherson, Tuck, Curley, Gaskin, Martinich, and now Malcolm, provide 1651 page numbers. These page numbers are so widely included that requiring them as the standard reference convention is most reasonable. Many of the editions just mentioned also have paragraph numbers. It is a defect of Malcom’s edition that it does not include paragraph numbers, one that we hope will be corrected in subsequent editions. Paragraph numbers could be used either as an alternative method or as a supplement to 1651 page numbers. This morning we all received a thoughtful note from Profs. Lloyd and Martinich, two distinguished scholars, suggesting that we not attempt to make references to the new OUP Leviathan, edited by Noel Malcolm, standard in our publications on Hobbes. I respectfully disagree. The crux of their argument is this. While they agree that it is an excellent edition, the main objection is to its cost, and consequently the difficulty of scholars either to afford to purchase it or find it at libraries that can afford to purchase it. They list the price at US$375. That is true for the hard-back edition. But the paperback is available for US$125 for the three volumes (including the introductory volume), and US$99 for the two text volumes. That is quite a reasonable price for an academic book. (In comparison, the single volume of the Oxford Handbook of Hobbes is available only in hardback at US$150.) I think that it is not unreasonable to expect serious scholars to invest US$99 in what is a central research tool for their work. I would also point out that the OUP edition is also available online in an electronic edition, part of a package to which many research libraries subscribe. Profs. Lloyd and Martinich suggest using page numbers, chapter numbers, and paragraph numbers in the 1651 text instead of the OUP page numbers. This is not an unreasonable suggestion. But it does presume that one is making reference to the English version alone. One of the great innovations of the new Malcolm edition is precisely that it makes possible easy comparisons between the English and the Latin text, which should encourage scholars to pay more attention to the changes Hobbes introduced into his later edition. That for me is an important reason why we should encourage our students and colleagues to make use of Malcolm’s magnificent new edition. It is the rare circumstance in which a new tool could actually change the direction of scholarship. I fully agree with the Lloyd Martinich Open Letter, and for the Cambridge Companion to Hobbes’s Leviathan we standardized references to Leviathan by chapter/para/1651 pp./and Curley pp. exactly as you suggest, the format I continue to use. The beauty of it is that anyone using any standard edition can easily find the reference. CUP went along with it and did not suggest we use their Tuck edition, which is a good edition but does not have para nos and does not cross-reference the Latin edition, the advantage of Curley’s. For publishers to insist on a specific edition is a break with convention and Lloyd and Martinich have made an excellent case that it is not warranted. I think they have done us a great service and would be surprised if the publishers are not persuaded! Happy holidays and may 2019 be a good one! I write in reply to the recent joint open letter by Lloyd/Martinch, raising concerns in regard of the accessibility, functionality and paratextual presentation of Noel Malcolm’s three volume Clarendon scholarly edition of Hobbes’s Leviathan. The authors note that the edition, ‘is without question an immensely valuable resource for Hobbes studies’, and delivers considerable scholarly benefits, such as face to face versions of the English and Latin texts. These benefits are complemented by the capacious learning of Malcolm’s annotations and textual collation. Despite this positive appreciation, the letter raises a question about whether this combination of textual commentary, contextual erudition, and assessment of the scribal evidence and bibliographical variations, are advantageous to those who wish to explore the ideas of Hobbes and their reception. This question is phrased in a curious manner: implying that there is some sort of requirement or imperative laid as a burden upon all scholars, without indicating from whence this obligation derives. The corollary of their questions suggests that the edition imposes ‘burdens, our own work, and the efforts of many of us to stimulate broader interest in Hobbes studies’. The underlying implication seems to be that the existence of the edition, a monument to decades of archival research and considered historical enquiry, by its very virtuosity demands a strenuous effort on the part of the reader. To suggest that this is a negative aspect of Malcolm’s Leviathan could be regarded as short-sighted, if not churlish. Complaining that an edition is too learned, too replete with contextual explanation, or too detailed in textual annotation, seems to me to be a rejection of the imperatives of scholarly enquiry. Why bother with such learning at all? Why not simply download one of the various open access digital editions? Indeed why not employ the various summaries and extracted editions (which often exclude entire chapters from Books III and IV)? I imagine the answer to these suggestions would be to lay claim to examining a text which was as close as possible to that authorised by Hobbes himself, or at least one which would have been recognisable by his contemporaries. The problem highlighted by Lloyd/Martinch’s complaints may lie in the different modern usages of Hobbes’ text: the political philosopher may not be interested in textual variant, rhetorical sources, and contextual reception. Those aspects are precisely the dimensions which a robust history of ideas seeks to restore to the historical record. Reading texts from the past is a necessarily complex and multi-facetted business: concerns relating to scribal circulation, the complicated business of the making the material book, and the hinterland of contextual language and literary discourse, are the very materials historians of ideas seek. Complaints that the edition is too heavy to be used conveniently in coffee-shops or the lecture room, seem to be based on one model of how the student community might need to ‘use’ the edition: the letter draws a distinction between the potential use of the work in the ‘developed’ and ‘developing world’. It is not clear what this economic distinction means. If intended to imply constraint of access due to limited financial abilities, then the distinction is overly simple. Within even the most developed nation states there exists a variety of academic and school facilities, some of which will have the resources to gain access to the edition, others not. If the letter had gone on to develop an argument about the printing industry’s stranglehold on the global economics of scholarly publication, in order to develop a wider case for open access, it might have created more grounds for agreement. Neither of the letter’s authors appear to have published in open access format, nor do they indicate that they have any wider commitment to such projects. The authors have claimed that ‘Some university libraries in the developed world have bought a single edition to be shared amongst the faculty and students; but most college and university libraries have no edition at all’. This is not sustained by even the most elementary search of the online World Catalogue, which indicates there are some 3158 copies in circulation in university and local public libraries across the globe – from New Zealand to Honduras, Chile, Hawaii, Philippines, and in regional public libraries in Surrey, Westminster, Middlesex, Wiltshire, Kent and Sussex. A more expert search of the various global catalogues might also provide evidence for the purchase of the Oxford Scholarly Editions Online, version too. It is Lloyd’s and Martinich’s contention that, ‘The volume cannot serve as a common reference point because so few enjoy access to it. Professors cannot teach using it because students cannot access it easily, nor can they afford to buy it for themselves’. These claims are not substantiated with any evidence of non-use. Certainly in the universities of London, Edinburgh, Reading, York and Warwick, there is online access to the volumes, and a further 22 universities have copies of the printed edition, (see COPAC search: https://copac.jisc.ac.uk/search?&author=noel+malcolm&title=leviathan). Indeed the digital facilities of the online edition allows undergraduates and postgraduates to examine the texts, vocabulary and rhetoric of Leviathan in an engaged and innovative way. Far from confining or constraining an audience’s ability to explore Hobbes’ text the edition enables deeper enquiry for a wider readership. The claims of Lloyd/Martinich regarding the usability of the volume, either in digital or print form, are equally flawed. Asserting that no one in the ‘developing world could follow along with our arguments were we to have to make our references to the Clarendon volume’, is illogical since that edition has original page numbers embedded so is in common use in most more popular editions (by Tuck and others); a more likely restraint on being able to follow the arguments of Lloyd/Martinich would be that their publications are in journal articles behind paywalls, or monographs beyond the purse of many private scholars, and indeed many university libraries. The claim that the digital edition available through Oxford scholarly editions online is limited to ‘only students at some elite universities’ requires substantiation: it seems from searches in the UK that many university libraries have access to the digital edition, and also operate access schemes for non-academic users. The claim that it is ‘unreasonable to require readers to navigate through Hobbes’s 600 page text electronically’, can only be based on lack of experience using the online digital platform, which indeed allows a swift and accurate means for searching for word, phrase or even annotated references. In fact it is easier to navigate the print volumes with the assistance of the digital edition. Navigation of a text is of course a different business than close reading of a passage, or tracing the repeated citation of biblical verses. The Malcolm edition facilitates both extensive and intensive reading patterns. The harvesting of relevant extracts for re-use in text collations also offers a swift method for providing students and researchers with valuable material which would require cumbersome typing ordinarily. The ‘Letter’ also asserts that the Clarendon edition is physically burdensome, unwieldy in ‘volume and weight’. The heft of the edition, it is claimed ‘is unnecessary’: mainly, in a comment of staggering condescension, because of the parallel Latin text, which ‘most people do not need, even if they were able, simultaneously to survey the Latin’. The authors presumably include themselves in this category of ‘most people’, or may need to acknowledge that to some the English/Latin pages offer a just measure of stimulation and opportunity. The authors then proceed to compare the pagination of Malcolm’s edition with the other existing editions, noting that all of them offer reference to the 1651 edition as standard (and thereby all may be cross-referenced with each other). Yet even in this moment of acknowledgement, Malcolm is chastised for failing to include paragraph numbers, and encouraged to correct such an omission in subsequent editions. The issue of accessibility to the Latin edition, issued in 1668 and revising and adding to the earlier iteration, in appendices and textual expansion is a critical benefit of Malcolm’s edition. That Hobbes was prepared to restate his arguments, sometimes in bolder ways, after the restoration of the Church of England to full disciplinary authority suggests an important context for understanding the political theology he defended. Without Malcolm’s profound editorial work, this task of exploring the reception and restatement of Hobbes’ ideas in a climate of hostile and powerful churchmen would be a difficult project. With the edition, it is possible to explore and establish the synergies with his other Restoration publications. Hobbes returned to themes and passages from Leviathan in Behemoth, the translations of Homer, and works on law (all expertly edited by Seaward, Nelson and Cromartie/Skinner), too. The Latin text and translation also enables a better informed study of the posthumous publication of Hobbes’ Latin verse, Historia Ecclesiastica (1688), where the themes of the appendices are captured in poetic form, and the shared Latinate vocabulary of earlier works is evident. The authors conclude with a proposal, invoking notions of fairness and accessibility ‘for a larger public’, although there is an imprecision about what ‘public’ this includes beyond the scholarly, university and wider academic community. They ‘urge scholars to refer to Leviathan with numbers to chapters and paragraphs and/or pages as they occur in an edition of 1651. We urge editors not to require their contributors to include page references to the Clarendon edition’. The use of the word ‘urge’ is an odd one implying some measure of urgency, or impending threat? One of the Oxford English Dictionary definitions suggests the word means, ‘to advocate or advise earnestly (some course of action, etc. ); to press with importunity, claim or demand pressingly’. The request is unclear: do the authors ask (1) that editors simply do not stipulate the use of any particular edition; or is their position (2) that only an edition which includes paragraph numbers be used? The first request seems unexceptionable, since the editions used in research papers are commonly chosen by the authors rather than the journal requirements. That scholarly choice is most commonly exercised by an assessment of which edition is ‘best’: that is, by using an edition which has the most scholarly rigour and most helpful editorial apparatus. It is a moot point whether any serious scholar, capable of accessing the ‘best’ edition, would eschew it for a less comprehensive version. Most research active undergraduates, postgraduates and academics will have access to a facsimile of the various seventeenth century editions through the digital archive on Early English Books Online. In using that facility they will navigate by chapter and page number, not by paragraph. Malcolm’s edition captures that primary textual architecture, and supplements it with the precision of a scaffolding of line numbers too. The use of paragraph numbers has recently developed, most commonly, where authors refer to un-paginated digital texts (see APA style guidance: https://www.apastyle.org/learn/faqs/cite-website-material). The MLA guide suggests stronger advice: that is ‘using chapter or paragraph numbers when no page numbers are available, but only if the chapter or paragraphs are explicitly included in the original text’. The emboldened phrase suggests that adding paragraph numbers to Hobbes’ text is an unwarranted modern innovation, which, plausibly, might alter the way the text is read and digested. I am unaware of any discussion of when, and why, paragraph numbers were intruded into modern editions of Leviathan. 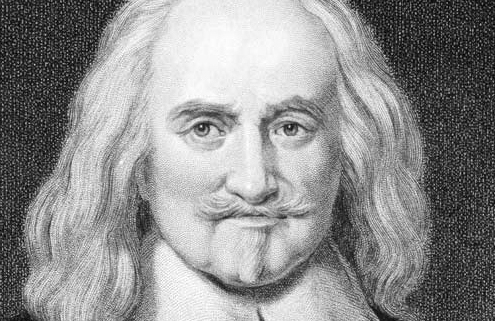 Warrender, when outlining the Clarendon Hobbes’ works project, which he reiterated in his edition of De Cive, suggested that both the English and Latin Leviathan would be ‘supplied with paragraph numbers though again Hobbes’s original format has been preserved’. The motivation for this was that it offered the reader ‘assistance in matching the English and Latin texts’, which he hoped, ‘improves also the readability of the work’. While Warrender suggested that Hobbes’ omission of paragraph numbers in Leviathan had made a ‘great stumbling block to the system of reference we have adopted’, the Malcolm edition addresses the core problem by having facing pages for the English and Latin versions, thus obviating the need for the intrusion of paragraph numbers. 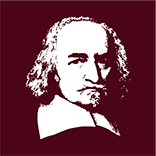 Warrender also noted that in Leviathan, ‘Hobbes’s own paragraphing was highly individualistic’, suggesting perhaps that those textual divisions displayed some authorial characteristics, best preserved in a comprehensive modern edition. Hobbes did not eschew paragraph numeration altogether, and had used it in the many Latin and English editions of his works in the 1640s and 1650s, such as de Cive (which were reproduced by the translator of the English version, Philosophicall rudiments concerning government and society, 1651), the Elements of philosophy the first section, concerning body written in Latine by Thomas Hobbes of Malmesbury; and now translated into English; to which are added Six lessons (1656), and the Elementorum philosophiae sectio secunda De homine (1658). In these, each chapter was followed by an itemised list of the subjects contained in each chapter. That this was not the case in Leviathan, might suggest that Hobbes intended the work to be absorbed, and shared amongst readers, in a different manner to other contemporaneous texts. Of course it may have been the result of decisions taken in the print-shop, although it seems unlikely that Hobbes would have accepted such a key dimension of the presentation of his ideas without demure. Since paragraph numbers are absent in the seventeenth century editions of Leviathan, without some more considered justification they best be left out of a referencing system for modern readers. As Quentin Skinner’s work has been at pains to establish, the rhetorical structures of Hobbes’ text are significant components to an understanding of his intentions and their reception: crumbling the text into paragraphs may occlude this dimension of the author’s ambitions. Hobbes, himself, complained of those Bible critics who crumbled scripture into dust, to cast into the eyes of other men [Leviathan II, xliii, p. 331/p. 954]. Those interested in exploring the complex world of Hobbes’ mind and its interaction with its time and other minds, should be grateful that they have such a companion as Malcolm’s edition of Leviathan. While it may take some effort to become fully accomplished at exploiting its manifold possibilities, surely that is the business of being a scholar, even in the digital age? The starting point would be Howard Warrender’s, ‘Thomas Hobbes: the collected works and a note on a new critical edition.’, Rivista Critica Di Storia Della Filosofia, vol. 33, no. 2 (1978), pp. 242–246, which outlined (p.244) a ‘general system of reference wherein Hobbes’s works are cited by short title, chapter and paragraph’. See also Howard Warrender (ed. 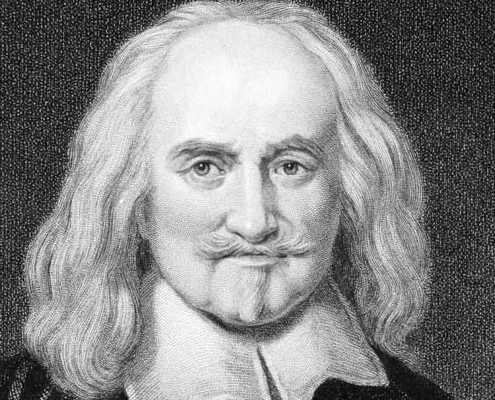 ), The Clarendon Edition of the Works of Thomas Hobbes, Vol. 2: De Cive: The Latin Version (Oxford, 1983), ‘The apparatus’, p.54, at footnote 3. I should like to have an opportunity to respond to the ‘Open Letter’ published on this website by Professors S. A. Lloyd and A. P. Martinich, concerning my edition of Leviathan. But their letter goes some way beyond making that simple and, I think, uncontroversial point. They write: ‘We urge editors not to require their contributors to include page references to the Clarendon edition.’ I hope it will not seem self-centred of me if I say that I find this a little troubling. If I have done my work correctly, the Clarendon edition is a more authoritative and scholarly presentation of the text than any previous edition. It is certainly the only critical edition, in the proper sense of that term, to have been published so far. I am struggling to think of any comparable case of a major philosophical or political text where editors would be urged not to ask writers to refer to the best available edition – and where, indeed, a general call would go out to all specialists in the field, telling them to do the urging. The apparent implication of Lloyd and Martinich’s letter – even if it was not the intended one – is that the English Leviathan is just a generic text, which will be the same, and mean the same, regardless of which version of it one looks at. But this is not the case. In some places I have made emendations to the 1651 text, or promoted to the text material present in the manuscript or the second edition; these form material differences between my text and the text appearing in other editions. Some editors, including Martinich, have modernized such things as punctuation; however scrupulously this is done, it is possible that a nuance of meaning can be changed thereby. The reason why I spent years of my life working away at small textual details was that it is always possible for these things to matter to a particular interpretation of the meaning. Of course, I recognize that the whole focus of the letter from Lloyd and Martinich is on pedagogy, and I respect the importance of that. But scholars write also for other scholars, perhaps sometimes pursuing significances in the text that would be lost in the relatively broad-brush treatment of the lecture-hall or the classroom. I leave aside here the possibility that in some ways pedagogy too may benefit from my edition – for example, in the case of a graduate seminar spending a whole term studying the text, where easy recourse to the Latin (or to my translation apparatus from the Latin, for those who do not know that language) may be of real value – since Professor Dan Garber has already made that point, for which I am very grateful. To return to the central problem raised in the Open Letter: surely there is a simple solution to it? Here as in other cases, scholars should follow the rule that they use, and cite, the most reliable and scholarly edition; but in this case they should also give 1651 page-numbers. I think this would best be done as double references each time; however, some might prefer to state in an initial note that this is the edition they are citing, and then give only the 1651 page-numbers, except when they are citing from my editorial materials (e.g. my translations of passages added or changed in the Latin). Finally, I’d just like to make a few comments on the practicalities, where I think that the letter from Lloyd and Martinich is a little imprecise. They say that ‘only students at some elite universities’ have access to the electronic edition; while the OUP is unwilling, for commercial reasons, to give detailed figures, it assures me that the take-up of Oxford Scholarly Editions Online is widespread, extending well beyond a sub-set of ‘elite universities’, and that the module in which this edition occurs is one of their best-selling ones, both in the USA and Canada, and in the UK and the rest of the world. They also write that ‘We do not know whether the Clarendon Press imposes limitations on the use of the electronic version of the book; but many publishers limit the number of users who can use it at one time, and also restrict the number of pages that can be printed by an individual.’ The answer, which I am sure the OUP would happily have given them had it been asked, is that a) the number of users who have access at one time depends on what level of access each institution purchases, which can range from a small number of unique users at any one time through to unlimited access, and b) users of Oxford Scholarly Editions Online are free to print as much as they wish of the texts for their own personal use (as opposed to dissemination to others, which is subject to standard copyright restrictions). Lloyd and Martinich also complain of the size and weight of the edition, saying that the hardback edition weighs 7 pounds. The two paperback volumes of the text come to a total of 4 pounds, 12 ounces. The OUP specifically arranged for these two volumes to be purchasable on their own, without volume 1 (the Introduction); their price is $99 in the US, or £60 in the UK. Although this may indeed be more than students would have to pay for editions of many other texts, it might still seem a worthwhile investment for someone signing up for a class or seminar that was going to spend a whole term studying this text. For those whose budgets are limited, there will in due course be another option. I have agreed with the OUP to produce a paperback edition, in the Oxford World’s Classics series (replacing the one by Gaskin); it will reproduce the text of the Clarendon Edition of the English, with some, but not all, of the accompanying editorial apparatus, and it will omit the Latin text. It will of course also include the 1651 page-numbers. I hope that this will be useful to students, and to general readers. But I also hope that when Hobbes scholars publish books or articles, they will still think it best to refer to the Clarendon Edition, where the full apparatus is present. I do not know whether Professors Lloyd and Martinich have had their Open Letter published on other websites or mailing lists. If so, and if they think the points I make here are at all helpful, I should be very grateful if they could forward this response to those venues and ask for it to be published there too.